Consumers Have Greater Faith In Award Winning Companies but they can be cynical. In today’s market, consumers have a myriad of products, companies and services from which to choose. Consumers want assurance, however, that the companies they choose to do business with are honest, trustworthy and real. Few companies utilize a try-before-you-buy model, so consumers must research other sources such as awards, customer service reputations and reviews to help guide their decisions. So, how do you get your company to the top of their list? Many consumers rely on reviews. And while these can be a great tool, they might not always be trustworthy since many user-review websites invite anyone to comment. As such, reviews don’t always show the whole picture and can even include false reviews by disgruntled employees, competitors or those just wanting to do harm. This is where unbiased, third-party recognition in the form of awards can help. Consumers trust awards; credible, independent awards create a comfort zone for consumers. You can always claim your business is trustworthy, but the outside validation of independent awards validates that claim. Think about it — listening to a company sing their own praises about their business only goes so far, but if a credible source praises the business, people will begin to listen. According to a Nielsen study commissioned by inPowered, consumers rely on credible, third-party accolades more than branded media or user reviews when making purchasing decisions. The findings indicated that the credibility and unbiased nature of content is critical for consumers, with 85% regularly or occasionally seeking out trusted reviews and awards when considering a purchase. Draws new customers: Customers like to be associated with a trustworthy, award-winning company. When potential customers see that you’ve won an award, they are more likely to have faith in your service/products and choose you over your competition. And new customers can bring more customers if they share their experience with their friends and family. Word-of-mouth referral is one of the best ways to draw customers. Builds company credibility: Building credibility is a main driver to the success of your brand and can determine whether or not consumers will return. Validates your products/services: The value of unbiased, third-party validation is considerable — it’s what provides confidence and accountability to companies and consumers to make the purchase. Attracts and retains employees: Winning awards can help you attract the best new employees, as people want to work for a winner. It can also improve employee morale, and happy employees will put forth their best effort for the benefit of your company, and ultimately your customers. Achieve broader exposure: In addition to building credibility with potential customers, getting approval from third-party sources, such as in the form of an award, will also leverage your credibility in the media. It doesn’t stop with winning the award, however. Now you have to capitalize on that award. 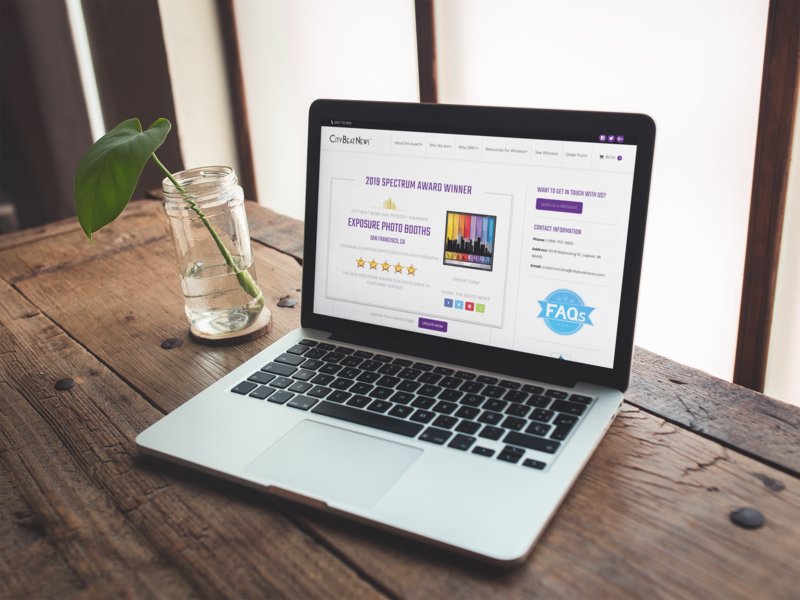 Leveraging the award on your website, social media channels and more will help demonstrate your credibility to consumers and benefit your company immeasurably. Press releases: Send a press release and let everyone know of your company’s accomplishments. Email/website marketing: Include the information about your award win in your newsletter that is sent to existing customers or create an email blast to customers letting them know about your award. Post the win and any pertinent details on your company’s website, and don’t forget to include a link to any press releases you sent out about the award. Award logo/emblem/images: Use the logos or emblems related to the award, along with the phrase “award-winning” on all your marketing materials and advertisements. Add it to your business cards and company info/bios on your website. Social media: Post about the award win on all your social media pages, including any logos/emblems. You can also link to the award website/social media pages that list you as a winner for further third-party credibility. 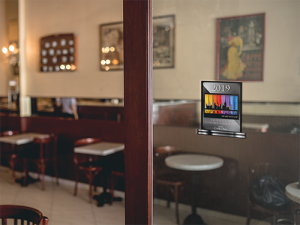 Use your storefront/office: Display your awards wherever they will be seen, by both customers and employees. Frame certificates, hang plaques, put decals/stickers on your windows or vehicles — let people know you are an award-winning business. While many companies can advertise, run promotions and claim to be trustworthy, only some can actually say they have been recognized by a trusted third party as among the best. Your award truly sets you apart from the competition, so make sure you take advantage. With the City Beat News Spectrum Award, owners of businesses earning our highest ratings have the opportunity to promote their business by sharing the news of a credible, independent, third-party “stamp of approval.” City Beat News bases its award on balanced and researched customer satisfaction criteria, which includes the voice of other consumers, and then delivers its results as a single rating for the entire year. This provides consumers once easy-to-understand source to consult when doing their research, without having to wade through pages and pages of reviews that may or may not be accurate. Consumers are invited to verify a company’s or professional’s independent rating via our publicly available and transparent database on the City Beat News website. Ultimately, an unbiased, third-party perspective can be a secret weapon in closing the sale. Nothing you say about your company will have as much influence as what others say on your behalf. For more information about the City Beat News Spectrum Award for Customer Satisfaction contact us at 866-732-9800.